When evaluating an algebraic expression, remember that letters stand for numbers. 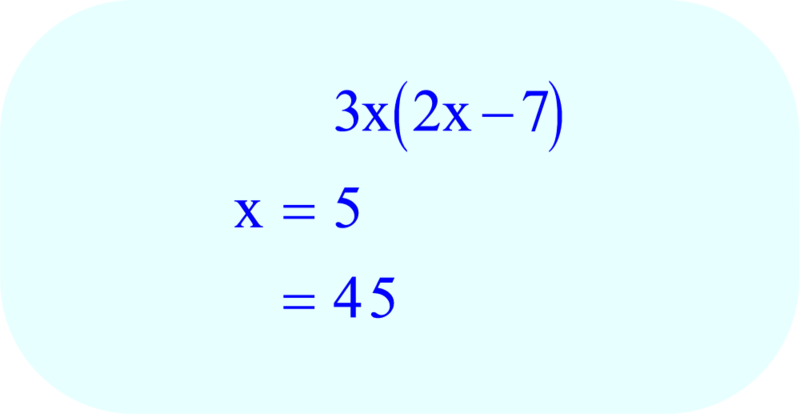 Evaluate the expression below by substituting the numerical value of x. 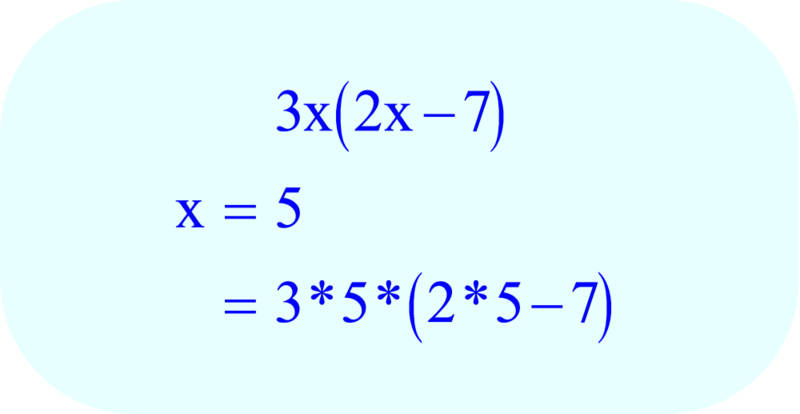 Substitute the number 5 for every x in the expression. PEMDAS also applies to the expression within the parentheses. 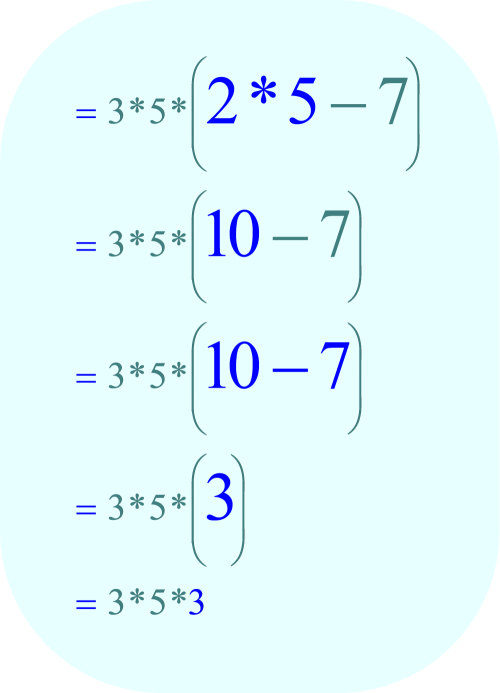 In this case 2 * 5 is evaluated first, and -7 is evaluated second. There is no division which needs to be evaluated. There is no addition or subtraction which needs to be completed.